Earlier this year, Congressional Republicans scolded Michael Cohen, the former “fixer” lawyer for President Donald Trump, while he was giving testimony on Capitol Hill, suggesting that his cooperation with the Russia investigation was all a ruse in order to secure a book deal. “You’re set to go to jail for a couple years. If you come out with a book deal, that’s not bad living,” Rep. Michael Cloud, R-Texas, said, according to reporting at the time from Vox. It’s unclear, however, whether that same kind of disdain would apply to the president himself. Republicans may have to address that point soon — according to a recent report from the Daily Beast, Trump is indeed making plans for a book of his own after he leaves office, making quips at random times about what would be good to include within its pages. “That’ll go great in a book,” Trump is said to have exclaimed during a social setting, according to one source who was with him when he said it. Trump has reportedly been “eager” to get started on the project. But it’s not just a recent fixation the president has developed — sources with knowledge of Trump’s discussions on such a book say he’s been thinking about it since the early days of his tenure in office. “He sounded excited about it. He said it would sell better than even The Art of the Deal,” one source explained, referencing Trump’s ghost-written best-selling book. A separate source, who describes themself as a friend of the president, detailed what Trump’s book may be about, saying that it would likely be used as a means of political payback and settling scores against Democrats and Republicans who opposed his policies or statements. 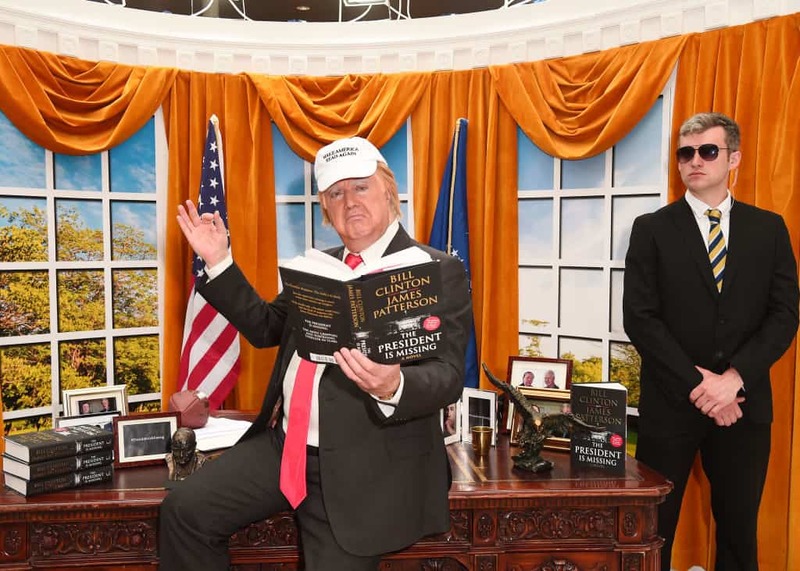 Trump would use the book, the source said, to “correct” topics he considered “fake news,” including other books that have been written about him and his administration since he took office in 2017. Such memoirs by former presidents are not uncommon, and likely not atypical for them to take notes or consider items to place in their memoirs while they’re still in office. But Trump’s book, the Daily Beast reported, would likely be difficult for many publishers to deal with. Publishers speaking to the Daily Beast cited many obstacles that a book by Trump would create, including the fact that many employees that work for them are more progressive-minded and may not want to work on a book promoting Trump’s views. Another issue is that popular authors who regularly work with these publishers, who also oppose Trump, might threaten to take their book proposals elsewhere, or encourage other authors to do the same, in protest of a Trump book being published under the same label as their own work. One more big problem that could arise for publishers? Trump’s promotion of his own book. Publishers like to plan out their public relations efforts in ways that allow tidbits of their books to be released in the weeks prior to publication. Trump might not be able (or willing) to follow such strategies.